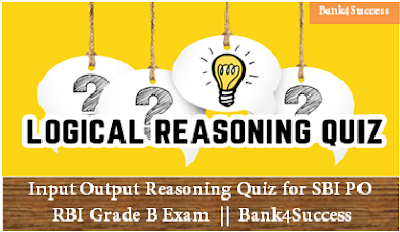 High Level Input Output Reasoning Quiz for SBI PO/ RBI Grade B Exam.Today we are sharing the Machine Input Output Questions which is Most Important for Upcoming SBI PO exam as well as RBI Grade B, IBPS Exam which is going to released soon. Practice these questions to get Understanding about Machine Input Output topic. Direction (1 - 5) : Study the following information to answer the given questions : A word and number arrangement machine when given an input line of words and numbers rearranges them following a particular rule. The following is an illustration of input and rearrangement. 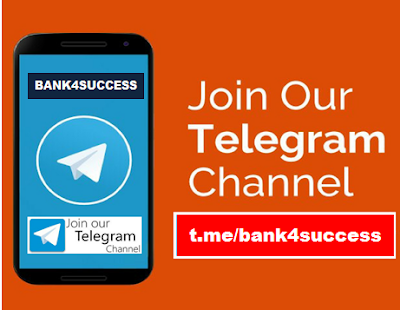 And step IV is the last step of the rearrangement As per the rules followed in the above steps, find out in each of the following question the appropriate steps for the given input. 1. Which of the following would be the final arrangement? 2. In step III, which of the following word be at 6th position from the left? 3. Which step number would be the following output? upto onto horn simple anger moon erase into danger best. 4. In step IV of the rearrangement, if onto is related to erase and moon is related to danger in a certain way, to which of the following would anger be related to, following the same pattern? 5. Which of the following would be step VII? Direction (6 - 10) : Study the following information to answer the given questions : A word and number arrangement machine when given an input line of words and numbers rearranges them following a particular rule. The following is an illustration of input and rearrangement. 7. Which word/number would be at 5th position from the right in Step V ? 8. How many elements (words or numbers) are there between 'gold' and '46' as they appear in the last step of the output? 9. Which of the following represents the position of 'who' in the fourth step? 10. Which of the following would be step IV? Logic :- Words that start with vowel are arranged in decreasing alphabetical order on the left and the words that start with consonant are arranged on the right.